Good news for sports car fans who want to row their own gears. It was almost exactly one year ago when the New Stratos made its world debut at the 2018 Geneva Motor Show. Developed by Italian coachbuilder Manifattura Automobili Torino, the reborn Stratos is based on a donor Ferrari F430 Scuderia with a custom body inspired by the legendary Lancia Stratos. Under the hood is a 4.3-liter V8 engine that delivers 532 horsepower and 383 lb-ft of torque. 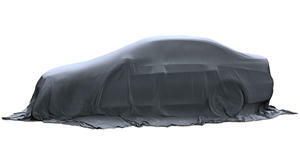 Fast forward one year later, and the coachbuilder is about to unveil the first two of 25 planned customer examples at the 2019 Geneva Motor Show. The first New Stratos with serial 001 will go to a German owner, while the second will be hitting the road in the US. Being based on an F430, the New Stratos has so far only been showcased with a paddle-shift transmission, but the company has now confirmed a manual gearbox will also be optional, which will be showcased in the new version of the New Stratos debuting in Geneva. "Geneva has always been the place representing the heart and spirit of the automotive industry: to attend as MAT for the second year in a row is statement of our determination and will to carry on with this adventure and a recognition of the quality of our products,” Paolo Garella, CEO of Manifattura Automobili Torino, added. "To be able to present our production models of the New Stratos is something special: we are confident of the quality that we have achieved, and we are proud to show it to the world from this stage”. Unsurprisingly, the New Stratos isn’t cheap. 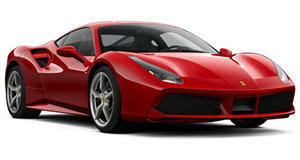 The cost of the conversion is $617,000 – and that’s not including the donor Ferrari F430 Scuderia.